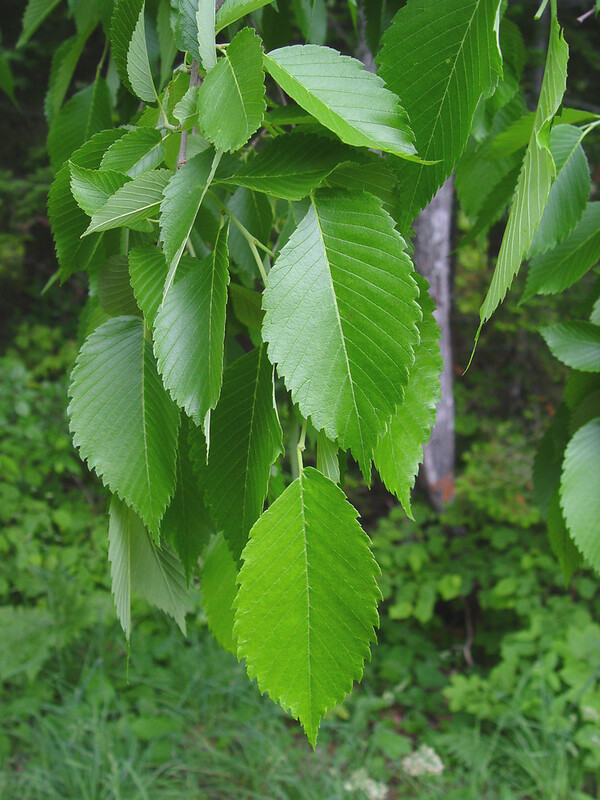 Ulmus americana. By Donald Cameron. Copyright © 2015 Donald Cameron.New England Wild Flower Society.gobotany.newenglandwild.org (Accessed 7/2015). 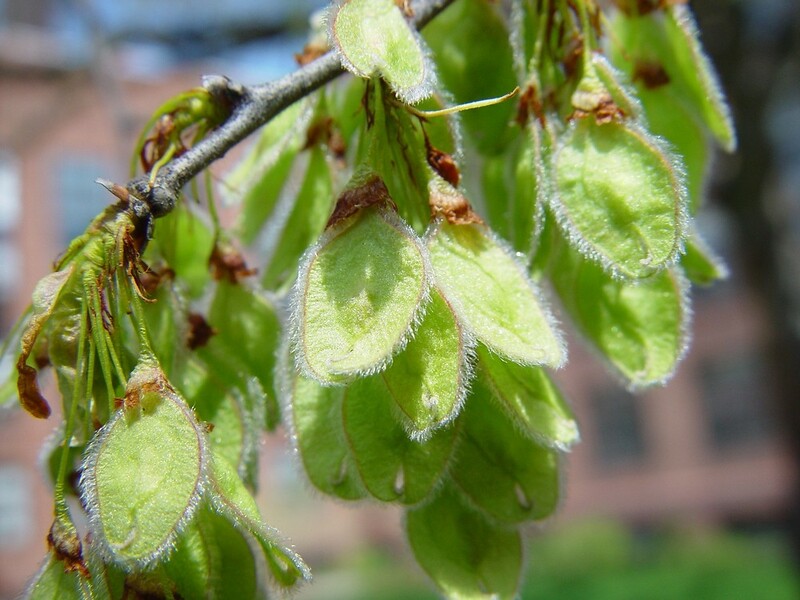 Ulmus is a genus of trees; leaves in two ranks along twigs, stipules small, soon deciduous. Leaves alternate, stalk (petiole) short, blade simple, veins pinnate, base unequal, slightly lobed (cordate), margins mostly doubly toothed. 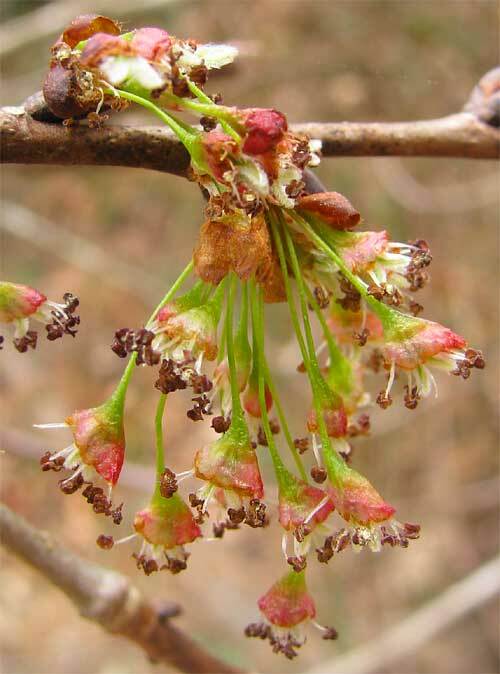 Ulmus americana.flowers.Bea Laporte.backyardnature.net (Accessed 3/2017). Flowers reddish-purple to yellowish, very small, no petals, calyx bell-shaped, (campanulate); inflorescences of lateral clusters; appearing before leaves; Feb.-March, wind pollinated. Ulmus americana. fruit.By Arthur Haines. Copyright © 2015.New England Wild Flower Society.gobotany.newenglandwild .org (Accessed 7/20150. Fruit dry, membranous, flat, circular, 1-seeded, winged (a samara), usually with a notched top formed by enlarged styles; wind-dispersed April-May.